Excellent Almond Ranch on good soil located in Tipton, CA. Approx. 167.55 acres. 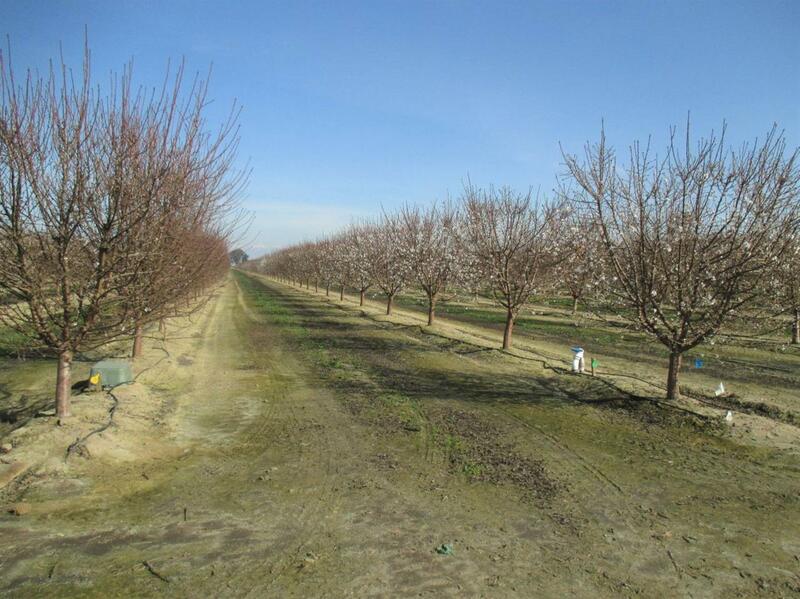 The property consists of just under 100 acres planted to Butte and Padre Almonds and approx. 68 acres of industrial property. The Almonds were planted in March 2016, Nemaguard Root Stock, two wells (60 HP and a newer 100 HP), double line drip system installed by Hydra Tec with variable rate irrigation system and a reservoir with filtration system and variable speed lift pump. Located a quarter mile from Highway 99 on/off ramps, the industrial site would be ideal for an almond production plant.